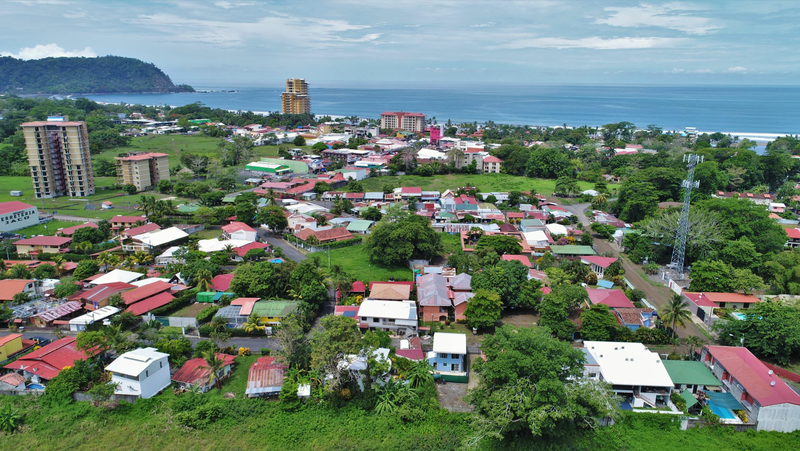 This Ocean View Home has 2700 total square feet of construction on 250 M2 of titled property ■ Ocean and Mountain views from every room of the house ■ Large spacious terraces and salt water pool ■ 2 Bedrooms, 2.5 bath with 10 foot ceilings and wood base boards. ■ Large two car garage with large storage loft, washer and dryer, utility sink, bonus closet and 14 foot ceilings ■ Granite counter tops in Kitchen & Bathrooms ■ Walk in Pantry and wine rack ■ Sliding Glass Doors with Screens throughout ■ Eco-friendly energy efficient AC units ■ 1100 liter Water Storage Tank ■ Cable and High Speed Internet ■ 230 linear meters from the beach at an elevation of 25 meters The garage is very spacious and easily convertible into a 3rd bedroom and full bathroom or entertainment room. ■ Salt Water Pool with Outdoor Shower ■ Very secure, easy to lock up for absentee owners. ■ Spacious Deck can be converted into additional living area. ■ Low cost to maintain house on annual basis. ■ Low annual property taxes. ■ Titled property registered in National Registry. ■ No HOA fees.